To apply for your Real Russian Tourist Visa Support please complete the form below and click on the continue button. Click on the icon next to each item for more information and guidance. If you have any questions about your application either before, during or after processing please look at out frequently asked questions, or feel free to contact us directly and we will be happy to help. Please enter your passport number, select your year of birth and click on continue to list your previous applications. Prices are shown in different currencies for your convenience, however payment will be made in British Pounds at the prevailing bank rate. If there is more than one person travelling on the same itinerary then you may include them all on one visa support document rather than applying for individual ones. A single entry visa allows the visa holder one entry and exit from Russia and a double entry visa allows for two entries and exits within the visa validity period. If you have a group where some individuals require a single entry visa and others a double entry visa then you should apply for the appropriate visa support documents for these individuals separately to avoid higher consular fees. A tourist visa may have a purpose other than general tourism. If you have your own visa support then select the closest matching purpose to the one you have listed on it, generally this will be simply "tourist". AUTO TOURIST - For general tourist purposes though where you will be taking your own private vehicle into Russia. You should provide a cover letter with your application pack indicating your route of journey, and the vehicle details such as make, registration and colour, and a copy of the vehicle registration document. Please note that in addition to the auto-tourist visa there will be other requirements to take your vehicle into and out of Russia which you will be responsible for. 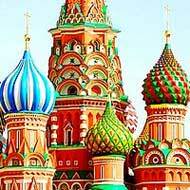 BUSINESS TOURIST - For people travelling to Russia to establish business links or investigate the economic climate for future business opportunities (please note, once the business links are in place, you should travel on a full business visa). 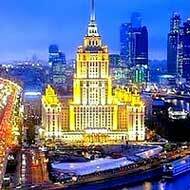 You should be staying in a hotel, know the exact dates you are going to visit Russia and may not generally request this type of visa for visits of more than 15 days. TOURIST - For general tourist purposes. TRANS-SIBERIAN - For people travelling along the Trans-Siberian, Trans-Mongolian or Trans-Manchurian railway. Select this option if you are staying in a hotel, staying in other accommodation where your visa will be registered for you or if you are staying in each Russian city you will be visiting for fewer than seven working days. Select this option if you are staying in Moscow for more than 7 working days though not staying in a hotel and wish to pre-pay for our registration service. Please note that the registration cost is per person and applied to the total number of people applying. Please note that once your visa is issued the pre-paid registration fees are non-refundable. If you wish you may select "No registration service needed" and pay our office in Moscow directly. Select this option if you are staying in St Petersburg but not staying in a hotel and wish to pre-pay for a registration service with our partners. Please note that the registration cost is per person and applied to the total number of people applying. Please note that once your visa is issued the pre-paid registration fees are non-refundable. Please let us know which country you will be applying for your visa in, so that we can advise you, if there are any specific conditions that we are aware of, when applying for a tourist visa using our visa support. 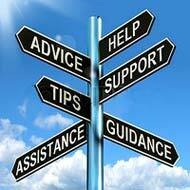 The visa support document or so-called invitation may be issued as a paper document or Telex invitation. In case of Telex visa support, it will be sent electronically direct to your chosen consulate, and this regardless of the number of entries. In case of paper invitations, most consulates will accept a clear faxed or email copy when you apply for single or double entry visa. 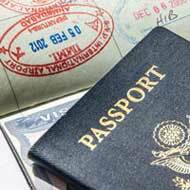 For multiple entry visas most consulates will only accept the original invitation. IT IS YOUR RESPONSIBILITY to check which type of visa support is acceptable at the consulate where you intend to apply for your visa as well as whether they would accept the copy of the invitation or require the original. International express courier: The paper invitation will be sent to your requested address by DHL or similar courier directly from our Moscow office. The cost and delivery time will depend upon country of destination. Please contact us for more details. Economy courier to a UK address: The paper invitation will be sent from Moscow to our London office first from where it will be sent onwards by Royal Mail Special Delivery. This usually takes 3 working days. Economy courier to a non-UK address: The paper invitation will be sent from Moscow to our London office first from where it will be sent onwards by Royal Mail International Delivery. This takes approx. 7 working days depending upon country of destination. I will collect from your London office: The paper invitation will be sent from Moscow to our London office and held there for your collection. This usually takes 2 working days. I will collect from your Moscow office: The paper invitation will be held at our Moscow office for your collection. This is free of charge and the visa support is usually available for collection from us the day after issue. Must be in English. Allowed symbols: ! ? - ( ) , . ' ""
Provide the details for each person to be listed on the visa support document exactly as it appears in their passport and ensure they are correct as the consulate may reject your application if the visa support details and passport details do not match. Please note that special characters with accents or umlauts are not recognized by the system and should be changed to their equivalents in English alphabet. If you are not sure about the spelling, contact our visa team at visas@realrussia.co.uk or on 02071007370. A Russian Tourist visa is valid for the exact dates that you request on the invitation up to a maximum of 30 days inclusive of day of entry and exit. You may enter and exit at any time within the visa validity and as such we would recommend that you add a few days before and after your expected dates of travel to allow for changes in your plans as Russian tourist visas can not be altered once issued. Please note for double entry visas the visa will be valid from the first entry date until the second exit date requested. Please select the cites that you will be visiting and also the hotels or hostels you will be staying in. If you are unsure or don’t know where you will be staying, then you can select any available hotel or hostel from the list, unless your local Russian Consulate require hotel booking confirmation. If you are visiting more than five cities then select either the largest ones or the ones that you will be spending the most time in. If you are travelling along the Trans-Siberian, Trans-Mongolian or Trans-Manchurian railway then select “Trans-Siberian railway” as one of your cities and “Various – according to program” for the hotel. You should include at least one city as well as “Trans-Siberian railway”. Please enter the email address of the person that we should contact if we need to in relation to this order. Please enter the telephone number of the person that we should contact of we need to in relation to this order. The visa support document applied for will be valid for processing a visa for the named person to enter Russia on or after and they must leave Russia on or before . The visa will allow one entry to and one exit from Russia during this period. It is the applicant’s responsibility to confirm that the visa support document/visa meet their requirements before they process the visa, or travel or use the visa itself. Please note that once the visa support is issued, no refunds are possible. The visa support document applied for will be valid for processing a visa for the named person to enter Russia (the first time) on or after and they must leave Russia (for the second time) on or before . The visa will allow two entries into and two exits from Russia during this period. It is the applicant’s responsibility to confirm that the visa support document/visa meet their requirements before they process the visa, or travel or use the visa itself. Please note that once your visa is issued the pre-paid registration fees are non-refundable. Please note that once the visa support is issued, no refunds are possible.